Tuesday, August 26 6:30-8:30 p.m.
See bio below for her book launch. Please come support local poets, and bring your own poetry to share during the open mike. Tracy Mishkin is the author of I Almost Didn't Make It to McDonald's, a poetry chapbook published last month by Finishing Line Press. Her work blends humor and serious ideas, and it is accessible. As one commentator wrote, "I love the way her wry and self-deprecator​y humor comes through and the sense of seeing something deeper and more abiding behind ordinary things, ordinary situations. I love her innate respect for others coupled with her ability to see their foibles." Tracy is an Indianapolis native who resolves health insurance problems at Anthem Blue Cross Blue Shield. She is a student in the MFA in Creative Writing program at Butler University and a member of the InterUrban writing group and the Writers' Center. To share her poetry with family and friends, Tracy has created nine desktop-publish​ed booklets since the late 1980s. She has twice been the featured reader at Evening with the Muse. In addition to her chapbook, her work is featured in Reckless Writing 2013: The Continued Modernization of Poetry and has appeared in Tipton Poetry Journal, Flying Island, and Poetica. 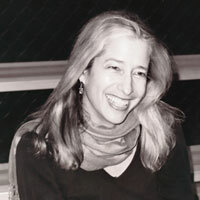 You can read her poems online at flyingislandjou​rnal.blogspot.c​om, PoetsUSA.com, and tracymishkin.wo​rdpress.com. Ledge Mule Press is kicking off its first reading in a new series dedicated to highlight exceptional writing. Our own alumna, Jennifer Leubbers (Leonard) will be reading with David Watters. Saturday, August 30, 10:00 a.m. to 6:00 p.m.
Sunday, August 31, 10:00 a.m. to 5:00 p.m. Location: at the Corner of 4th Street and Dunn. The Writers Guild at Bloomington once again presents the Spoken Word Stage at this year’s Fourth Street Festival of Arts & Crafts. The Spoken Word Stage features poets, fiction writers, storytellers, the live radio theatre, comedy, collaborative music/theatre performances, and Poetry On Demand. Always popular, Poetry On Demand gives you the opportunity to order up a poem on a theme, subject, or idea of your choice and, for a suggested donation, a poet will concoct a personalized masterpiece of wordsmithery inspired by you! Visit us at the Writers Guild’s table by the Stage and chat with a guild member. We’d love to meet and speak with you! Will present Lorne Mook as its guest poet at 6:30 p.m., Thursday, Sept. 4, at the SullivanMunce Cultural Center, 225 Hawthorne St., Zionsville. Mook has produced the first English translation of Rainer Maria Rilke's third book of poems, Dream-Crowned, published in German in 1896 when Rilke was 21. Mook's poems and translations have also appeared in Poet Lore, Literary Imagination, Poetry International, International Poetry Review, Unsplendid, and Rowboat, as well as in his book Travelers without Maps. He is Associate Professor of English at Taylor University. Thursday, September 18, 5:30 - 7 p.m.
Dana Roeser is the author of three books of poetry: The Theme of Tonight’s Party Has Been Changed, winner of the Juniper Prize (University of Massachusetts Press, 2014), and In the Truth Room (2008) and Beautiful Motion (2004), both winners of the Samuel French Morse Prize (Northeastern University Press/University Press of New England).